You've probably been wondering what's been going on with K-Ci and JoJo--and even more importantly, what's up with Jodeci? I tried to get some answers for you when I interviewed the Hailey brothers for their new reality show, K-Ci & JoJo ... Come Clean, which premieres Tuesday, October 19 at 9 p.m. on TV One. 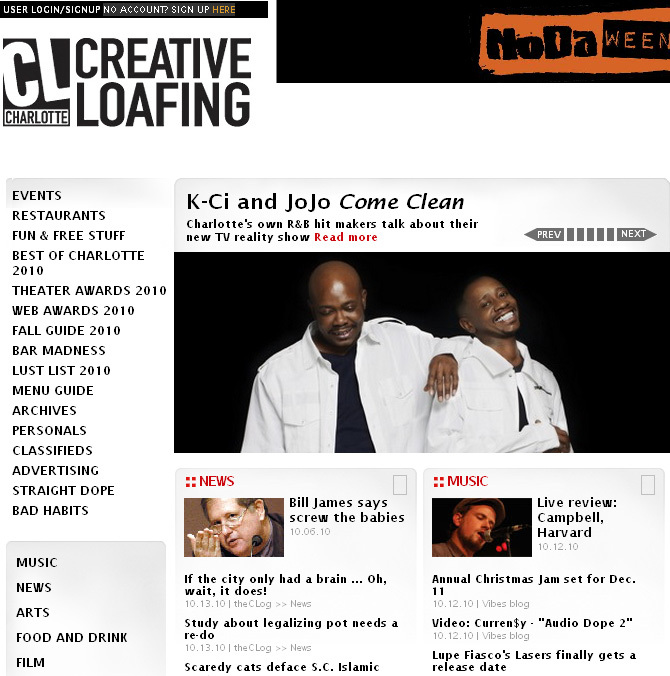 You can read about it in my article for Creative Loafing: "Singers K-Ci and JoJo Come Clean with new reality show." One particular question I asked them, that I hope we see some traction on, is what will it take for all of Charlotte's R&B stars to do a concert together. Imagine if K-Ci and JoJo, Anthony Hamilton, Fantasia, Calvin Richardson, Sunshine Anderson, and Horace Brown all put on a show in Charlotte. It would be hours of great soul music from artists who got their starts right here in North Carolina, who are either from Charlotte or currently call it home. I think fans would come out to support this momentous occasion.